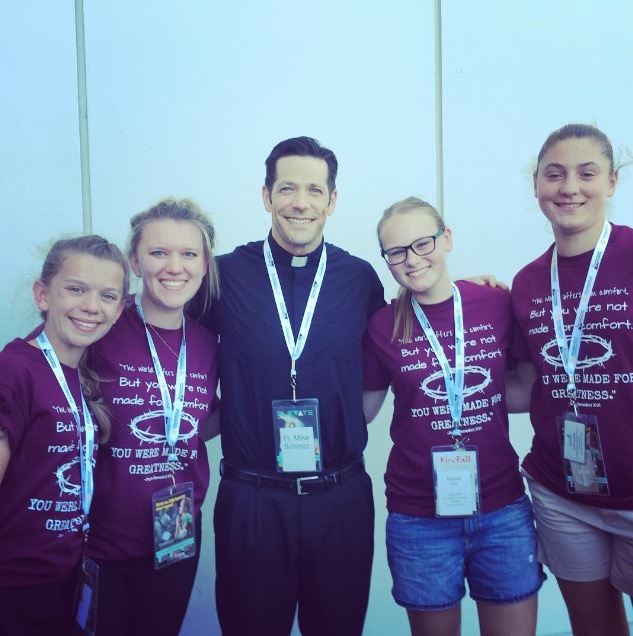 What is the Steubenville NW Conference? It is a 3 day event where thousands of Catholic youth gather together to grow in their faith and personal relationship with Christ. It is a weekend full of fun, friends, prayer, adoration, music, the sacraments, and some great speakers. Last year St. Joseph took a bus full of teens over to Spokane, and it was a highlight of the summer for many. Click here for this year’s promo video on the brand new theme: REVEALED! If you’re interested in this year’s ministry team, you can check it out here! Who: Open to incoming high school freshmen all the way up to graduating high school seniors! Cost: the cost is $325 per participant prior to May 1st . (If you register by this Sunday April 15th you get a $25 discount (cost will be $300), registration costs go up to $350 after May 1st). This costs includes: conference fees, lodging, meals, transportation & t-shirts. If you need a scholarship, we provide some great fundraising opportunities and you can easily fundraise for your whole trip if you are committed. Contact Carlie for fundraising details and to receive the link to register!